Canongate Book 4 – And we’ll all go together…. 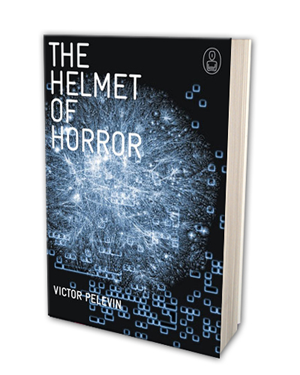 Next up on the LeedsBookClub Canongate challenge was The Helmet of Horror by Victor Pelevin. philosophical techniques, designed to encourage the reader to create their own fiction, heroes and universe out of his words. On the other hand; somewhat dampening my enthusiasm; the Minotaur and Labyrinth myth was one I LOATHED when I first encountered it, primarily due to it’s (to my mind)unnecessarily tragic conclusion. (I’m going to try to nut shell this origin story in particular. King Minos and his wife had many children. The eldest – Androgeus – grew into a particularly talented and skilled athlete. More than that, he was intelligent, resourceful and charismatic. One year, he decided to travel to Athens and compete in the Pan-Athenian games, held only one year in five. Androgeus dominated every sport that he participated in. He won not only every title but also the hearts and minds of the viewing crowds. Every one in fact, except the other competitors, who became so enraged that they assassinated him. The King promptly gathered his fleet, set sail for Athens and demanded that the city hand over the murderers or dire consequences etc etc. Not knowing exactly who had preformed the dastardly deed, King Aegeus instead surrendered the entire town. King Minos considered for some time and set his conditions. Every Great Year (that’s seven for the uninitiated) the seven bravest youths and most beautiful maidens were to be sent to Crete…never to be seen again. After three cycles, the prince of Athens – Theseus – decided that enough was enough. He would go as part of the sacrificial youths and slay the beast. He promised his father that if he succeeded, he would fly white sails – so that his father would instantly know that he was returning. I think it’s fair to say, Theseus would probably not have succeeded if he hadn’t had the luck to charm the Princess Ariadne. Presumably she wasn’t too well up on her own family tree as she aided Theseus in freeing the 13 other youngsters and killing her brother – the Minotaur – utterly betraying her father and mother. She then fled with Theseus to Crete with her younger sister. Actually, she didn’t. Thesesus dumped her on the island of Naxos and she cursed her former lover. As a result he forgot to change the sails of his boat from black to white and his father – believing the worst – threw himself off a cliff in despair at having lost his son. Theseus returned home, victorious but devastated. Ok. Part of me thinks that this is one of the best stories I’ve ever read (barring the ending). Another part of me is still bogged down in the myriad of possible explanations – desperately trying to work out what the hell was going on. A third part thinks that while it was a noble effort, Pelevin just don’t quite hit the nail on the head. Very much in the here and now; the book is set in cyberspace. Correction – it is set in a closed corner of the cyber world. One little conversation thread in fact. Eight characters wake up one morning (or do they?) and find themselves in a small room (or are they?) – with only a computer for company (or…you get it right?). They are unable to contact the outside world, only able to commune with one another. Through dreams, exploration of the available outside world – which seems to consist of a giant labyrinthine complex and a sweet/horrid love affair we discover more about the characters and their lives, opinions and philosophies. The solutions offered depend very much on their personality of the one proposing it; which in turn seems to be influenced by the name they are allocated. 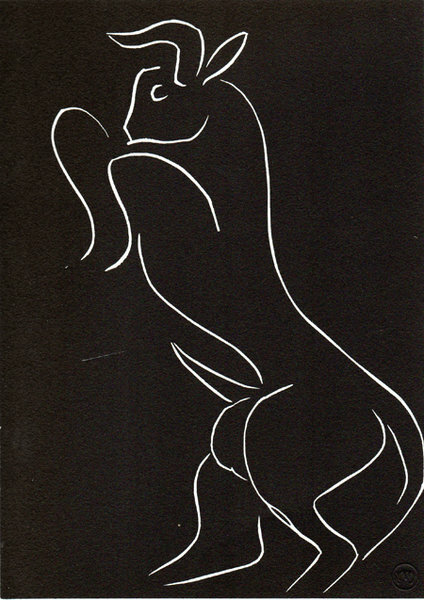 For UGLI666 – seeningly a religious fundamental throwback – every thing is dripping in sin. Romeo and Isolde – influenced no doubt by their tragic romantic name inspirations – every event reinforeces the possibility of a romantic or physical connection. So far, so awesome. But then…I don’t know. It just doesn’t work. Every time it looks like we’re getting somewhere, Pelevin runs off on a comedic tangent – which is actually quite amusing, but ultimately frustrating. While I liked the idea of the Minotaur’s head being a virtual reality headset – and it was discussed in some detail – the explanation was either adopted or dropped entirely by the second half of the book – I just couldn’t tell which. I really enjoyed the interchanges between the characters; but due to the linear nature, I’m not sure I actually engaged with them the way I was supposed to. For all of the philosophising; it feels like the author is afraid to commit – the sheer number of possibilities renders the labyrinth meaningless. Without one fixed point to work from or on, the story descends into surreality. I’ll definately read more of Pelevin’s work in the future. Hopefully this was a forey in a new direction and that his previuos works feel less artificially light and comedic; offering a read with more bite. Next ›Podcast Interview with Lucinda Hawksley!! !